The Integrated Pest Management Working Group (IPMWG) is grateful to long-time supporter Yale Peabody Museum of Natural History for hosting the 2016 meeting. These proceedings will build on the success of 2014’s Williamsburg conference MuseumPests 2014: Integrated Pest Management for museums, libraries, archives and historic sites and the expanded working group program hosted by the Smithsonian Institution’s Museum Conservation Institute in Suitland, MD in 2015. As always, the IPM Working Group meetings are designed to help institutions with active IPM programs by bringing individuals together to tackle projects related to particular pest related challenges. All information resulting from these collaborations are placed on the museumpests.net website for the benefit of the cultural heritage community. 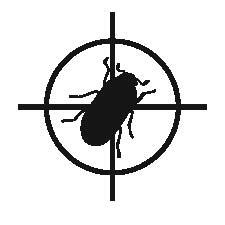 The IPMWG meetings do not teach IPM and are not appropriate for individuals not working with an active IPM program. For more information on establishing a program please consult the museumpests.net website. The 2.5-day program for 2016 will begin in the afternoon of Wednesday, March 16 with a series of optional tours and talks held at Yale University’s West Campus facility. Tours will highlight collections in the Peabody Museum and Yale Art Gallery as well as the new Institute for the Preservation of Cultural Heritage, including their research, conservation, and digitization labs. A presentation by staff of the European company Thermo Lignum is also planned. The subsequent two days (March 17-18) will return to the traditional IPMWG schedule focusing on further development of the online content for the museumpests.net website. Short 5-10 minute presentations by participants on IPM related at their home institution are interspersed with the work sessions. If you would like to present to the group please indicate your interest when you RSVP for the meeting. There is no fee for attending the program but participants are responsible for their own travel, room and board. Additionally participants are expected to take on an assignment that will result in content for the MuseumPests.net website. The two and one-half day program is by invitation only as space is limited. To request a spot please RSVP by emailing thechair@museumpests.net, and please include IPM-WG 2016 meeting in the subject line. Your request must include name, address (company/institution), phone # & email address. RSVP’s will be accepted through March 1. Priority will be given to returning participants on a first come, first serve basis and to new participants who are actively involved in an IPM program in their institution. Confirmation of a spot for the meeting will be made via email and participants will receive a welcome packet via email with additional information on schedules, accommodations and other relevant information.